TF-CBT is a conjoint child and parent psychotherapy approach for children and adolescents who are experiencing significant emotional and behavioral difficulties related to traumatic life events. 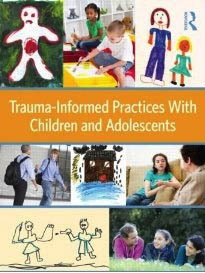 It is a components-based treatment model that incorporates trauma-sensitive interventions with cognitive behavioral, family, and humanistic principles and techniques. Children and parents learn new skills to help process thoughts and feelings related to traumatic life events; manage and resolve distressing thoughts, feelings, and behaviors related traumatic life events; and enhance safety, growth, parenting skills, and family communication. TF-CBT has proved successful with children and adolescents (ages 3 to 18) who have significant emotional problems (e.g., symptoms of posttraumatic stress disorder, fear, anxiety, or depression) related to traumatic life events. This treatment can be used with children and adolescents who have experienced a single trauma or multiple traumas in their life. Children or adolescents experiencing traumatic grief can also benefit from this treatment.